Marvel’s latest outing brings their most marketable character into the fold with Jon Watts’ Spider-Man: Homecoming. The level of anticipation for this movie was off the charts. I’m talking both as a fan of this character and the Marvel movies but also as someone who lives on this planet. Spider-Man’s extended cameo in Captain America: Civil War was heavily celebrated by many so the level of excitement for this film was palpable. It bears mentioning because the weight of expectation surrounds this film to the point where it may colour people’s opinions of it. Not to mention this being a dazzling display in corporate synergy as Sony share their toys to let Spider-Man join the Marvel Cinematic Universe. Is it the definitive reinvention of this character that makes all other cinematic versions irrelevant by comparison? Definitely not, but does that stop it being a good movie in its own right? Also definitely not. The story here picks up not long after the events of Captain America: Civil War. Peter Parker aka Spider-Man (Tom Holland) has a taste of what playing with the big boys is like and wants more of it. Foremost on his mind is proving himself worthy of becoming an Avenger. His main challenge is taking on Adrian Toomes aka the Vulture (Michael Keaton) reimagined as an arms dealer making use of alien technology left behind after the events of The Avengers. While this is happening Peter also has to deal with fitting school work around his exploits as Spider-Man and suffering the age old issue of constantly letting down those who are close to him in the name of saving people. Essentially this film focuses on fundamental Spider-Man storytelling and that’s part of what makes it a joy to watch. Interestingly Peter’s main motivation is proving himself worthy of stepping up to the big leagues despite being so young and inexperienced. Robert Downey Jr’s Tony Stark shows up here and there to offer words of wisdom and act as something of a pseudo father figure for Peter. Thankfully Stark’s presence doesn’t overpower the film as his role amounts to essentially a glorified cameo. Not that Downey Jr phones it in; far from it but this is Peter’s story and he has most of the agency within the story. Unfortunately Peter’s “impress Stark” mission comes somewhat at the expense of digging into his classic motivation of simply being someone who made a mistake once and wants to do the right thing. It’s in there but far from the focus which I personally found a little jarring but I’ll concede that it’s perfectly reasonable within the framework of the story that this film is telling. Tom Holland’s likeability in Captain America: Civil War definitely wasn’t a fluke and he has ample opportunity to continue to prove himself here. He’s a fantastic young talent with excellent comic timing and his Peter Parker is an incredibly well written showcase for that. He eases into the levity, the emotional heft and general fanboy excitement that comes with Tony Stark becoming his mentor. Peter is a fully realised character and infinitely watchable. Michael Keaton is great as the villain. Marvel movies tend to suffer in this area but Adrian Toomes is one of the better Marvel Cinematic Universe villains because his motivation is logical, easy to understand and the character himself is more grounded than most. Combine this with Michael Keaton’s charisma and you’re onto a winner. He starts off as a man feeling cheated by a system that doesn’t care about him. It’s not especially inventive but the character fits the film and -more importantly- Spider-Man’s “pay grade”. The film definitely isn’t about the villain so there’s just enough of him to make him seem like a viable threat without overwhelming the more interesting Peter Parker story. Peter’s story is great with the right ratio of scenes dealing with both sides of his identity. It all feeds into his overall character story and both aspects of his life feel like a fundamental part of who he is. The comedy lands almost without exception and the character beats feel entirely earned. There are some light pacing issues in the mid point of the film but these are minor. His supporting cast go a long way towards making that work. For the scenes he spends as Spider-Man he deals with Toomes, Stark and Happy Hogan (Jon Favreau) who challenge him in different ways. In the Peter Parker scenes he has a rich and varied collection of background players. His best friend Ned (Jacob Batalon) is definitely the strongest with lots of great moments between them, Laura Harrier’s Liz is fine as the standard love interest character with a slightly unconventional spin on it, Tony Revolori is a blast as Flash Thompson and Zendaya does a fine job as Michelle. They all contribute something unique to Peter’s world and the racial diversity of the cast is treated as simply “one of those things” rather than a profound progressive statement so points to the film for that. Marissa Tomei as Peter’s Aunt May definitely counts as good casting but her role feels almost extraneous. The relationship between Peter and May is a lot of fun to watch and there are some entertaining moments between them but she largely seems to be there because Peter needs a guardian. She also seems to exist so that people cam comment on how attractive she is. This character definitely needed work as there was more potential there for sure. The film also somewhat falls flat in the action department. None of them are especially bad but they also don’t stand out as particularly memorable. A sequence involving the Staten Island Ferry is a definite standout but even that is missing something. This character has immense scope for impressive action sequences that this film doesn’t quite deliver on. It is good that the stakes are scaled down appropriately for the character with the struggle being a far more personal one than we’re used to in summer blockbusters. 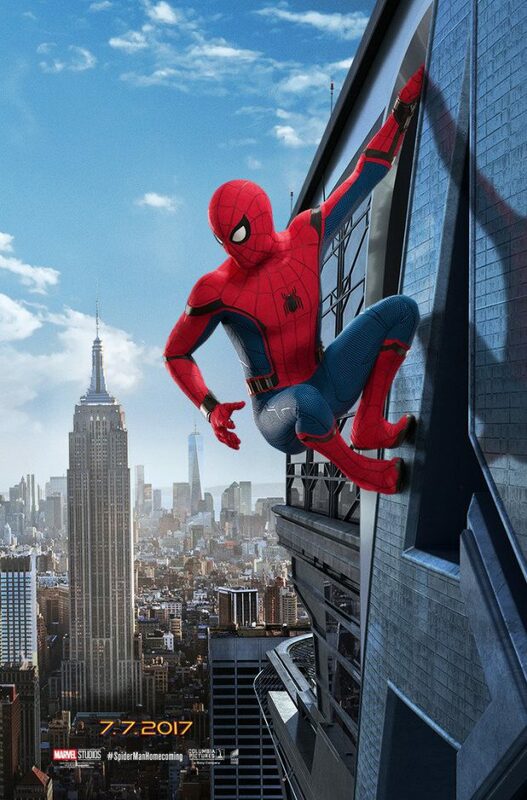 Spider-Man’s first solo outing as part of the wider Marvel Cinematic Universe is a huge success. Tom Holland nails the part, the supporting cast are great, the villain is one of the better MCU antagonists and there’s a good balance between both identities. The film doesn’t quite take advantage of the potential afforded by the character in the action sequences and Marissa Tomei’s Aunt May struggles to find a definitive place but this is a fun time at the movies and reinvigorates Spider-Man for a new generation.